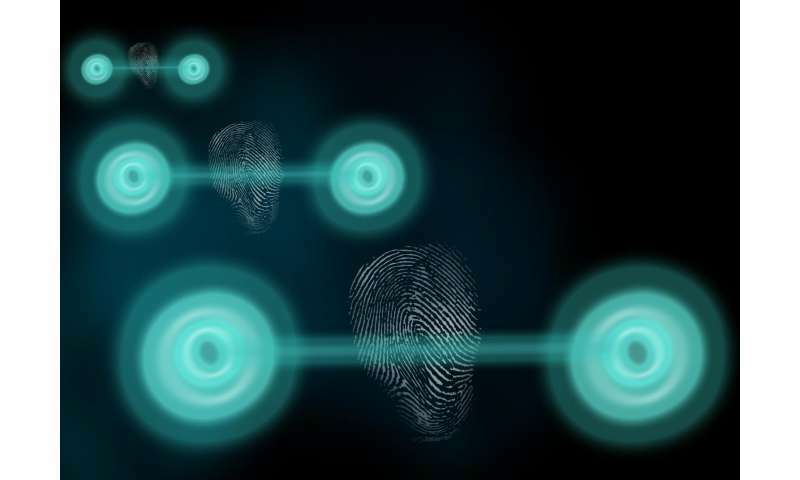 Researchers working in Singapore and the United States have discovered that all entangled states of two particles have a classical 'fingerprint'. This breakthrough could help engineers guard against errors and devices that don't do what they promise in quantum computing and quantum cryptography. Goh Koon Tong and Valerio Scarani at the Centre for Quantum Technologies at the National University of Singapore, with Andrea Coladangelo at the California Institute of Technology, reported in Nature Communications on 26 May that a simple set of measurements can act as an identity check for any two-particle entangled state. The presence of this fingerprint could help certify quantum computers or quantum encryption devices purchased from third parties. "I like to see our work as bringing the power of testing quantum devices to the consumers who use them. Currently, only those who build the devices or understand the engineering aspect of them can perform the test," says Goh. Quantum physicists could also use this 'self-testing' tool as a check step in lab experiments. The work builds on results by other groups, extending findings for qubits to the more exotic qudits. Qudits are higher-dimensional quantum bits. Rather than just storing a binary bit of information - a 0 or 1 - a qudit has bigger information density, storing a 0, 1, 2, 3, 4, etc. Such states, though hard to make, are interesting because they could accelerate some computing or communication tasks. The idea of self-testing is significant because it is generally difficult to gain a lot of information about the quantum state of a particle. A particle's state is described by a 'wave function' that encodes the probabilities for the particle's various properties, such as polarisation or momentum. To be sure about a quantum state, you need to know the whole wave function. However, there is a problem here. Measuring the quantum state reveals just one value - not the full set of possibilities. Self-testing is more efficient, requiring fewer measurements. It is also 'device-independent', or like blind tomography - needing no characterisation of the measurement device, as long as the device is guaranteed to detect most of the particles. This is because the fingerprint is a pattern of results across measurements of the two particles that could only be consistently created by the weird correlations in the quantum state, not by any classical process or by chance. Seeing this pattern then means the quantum state must be present. The famous 'CHSH experiment' in quantum physics is an example of fingerprinting for a quantum state of two qubits. To prove that fingerprint tests exist for all two-qudit states, the authors showed that these states can be considered as composed of blocks of two-level systems, akin to qubits. Even better, this mathematical equivalence points to what measurements are needed - although it's not clear yet if they are experimentally-friendly to make. The team hope that this discovery will motivate a new wave of research to find straightforward ways to incorporate this check in experiments or devices. So far, the signs are good. "Of all my work in the past five years, this has attracted the most attention," says Scarani. As well as hearing from colleagues interested in the result, he has been invited to give a talk on self-testing at QCrypt, an annual conference on quantum cryptography being held this year in the UK in September.